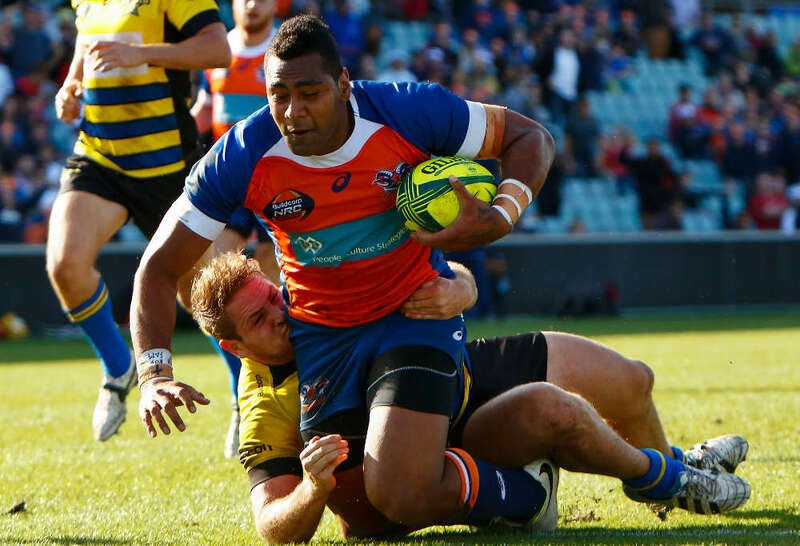 The NRC wrap Round 4: First semi-finalist locked in? 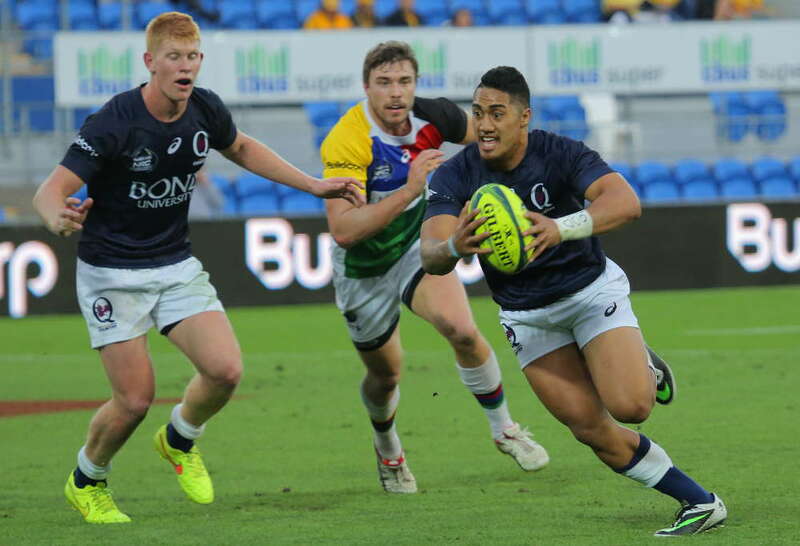 With Melbourne Rising still unbeaten after four rounds and now a bonus-point win clear of the chasing pack, it is hard to imagine them not playing in – or even hosting – one of the inaugural National Rugby Championship semi-finals. The Melbourne juggernaut kicked off Round 4 on Thursday night with another crushing win. They’re now averaging eight tries and a winning margin of 33 points per game. It’s some start to the competition. And yes, they’re running in tries for fun, and many of them from a distance, but anyone who’s watched them play know that they’re also the most dominant breakdown and set piece team in the competition. For all the comparisons of NRC rugby to Twenty20 cricket, the Rising are winning well because they’re the best exponents of the fundamentals of rugby in this competition. It’s that simple. NSW Country’s unbeaten run ended at the hands of Brisbane City in Lismore yesterday, but they’ve still been an impressive team who I expect to make the final four. It will take a real collapse in form for them to miss out. The resurgence of the Greater Sydney Rams is encouraging, because the early rounds were all looking like the Sydney-based teams would struggle, relative to the more Super Rugby player-laden NRC squads around the competition. It’s taken them four games, but the Rams have finally found their defensive groove to go with an attack that always looked likely. They scored some wonderful counter-attacking tries on Saturday in their win over the Stars, but were able to back that up with some excellent second-half defence. And while on the subject of the Rams, full credit to them for taking a punt on the BAR TV Sports streaming platform. Yes, the accents were thick, and some of the name pronunciation was wide of the mark, but Pete Jolly and Gareth Wasik’s commentary was as entertaining. The game, and the production – with graphics, replays, and ref’s audio piped in – was absolutely bang on. It was exactly what the NRC needs. If there’s one thing I’d really like to happen this morning, it’s for BAR TV’s phone to ring with an invitation to cover more games, be that from the Rams at least, or even better, from the NRC as a whole. A first half grind in Melbourne last Thursday night made way for a second half blitz from the home side. Perth opened the scoring off the back of a scrum, and though it took a good twenty or so minutes for the Melbourne forwards to click into gear, by halftime they’d established the platform to lead 18-8. Perth again scored first in the second half, and highlighted the importance of kicking conversions by bringing the margin back to two points. Lopeti Timani scored his second try for the night, from a pushover scrum. When Cadeyrn Neville broke through and strolled over, the sound you could hear in the background was of straining floodgates. Melbourne scored three more tries to run away with the game and secure the 44-24 win, but only kicked 3/7 conversions for the game. I suppose when you’re winning this well, it’s not so bad, but the Rising will find themselves in a situation in the coming rounds where goal kicking becomes crucial. Worthy mention: I couldn’t go past Sean McMahon, who for the second week in a row showed his worth on the openside flank. Melbourne had good payers across the park, to be fair, but McMahon was the standout for mine. Anyone who tuned into BAR TV Sports’ excellent live stream, or indeed, were part of the crowd that sounded so much bigger than it evidently was at this game, would’ve been treated to the Rams finally getting the mix of opportunistic counter-attacking and stoic defence. The Rams went at nearly a point-a-minute for the first quarter of the game, including a 70-metre counter special on the back of a Stars mistake, with big Steve Mafi making the break down the right, and flanker Chris Alcock finishing it off under the posts. The Rams were awarded a penalty try just before halftime, after Wallabies squad member Paddy Ryan collapsed one scrum too many under the pressure of Benn Robinson. The Stars were able to post tries in the second half to stem the flow somewhat, but the Rams would always hit back themselves. This was their most complete performance of the competition thus far, without question, but it will be their defence under pressure in the last 15 minutes that gives them the most confidence going forward. Worthy: We’ve all seen bits and parts of Ben Volavola at fullback at Super Rugby level, but as an NRC-level flyhalf, he was superb on Saturday. Controlled the game so well with his lengthy kicking game, and showed some really impressive vision in attack. With all the talk coming out of the Gold Coast fixtures being the scarcity of the crowd on Saturday night, it’s hard to say whether the curtain-raiser idea succeeded or failed. Whatever the case may be, what we do know is that North Harbour is finally on the board after holding on for the win. The Rays dominated the first half and led 24-8 at halftime, before Country hoisted the wet sail in the last thirty minutes to not just draw level, but to even take a 29-24 lead with around five minutes to go. The Rays were able to work back into attacking territory once more, and crossed for a well-worked try from reserve backrower Jack de Guingand. Hamish Angus converted to put the visitors back in front. Country had one last shot at the win, but a knock-on at the back of a scrum killed off the chance. Worthy: hard to go past Rays scrumhalf Matt Lucas, who provided all the spark in North Harbour’s attack in their dominant start to the game. Really flying blind on this one, with the only match report and live updates I’ve seen coming from Brisbane City. NSW Country have been unusually quiet for the last few days, which is actually well out of character for them. Their assistance and social media engagement so far has been very, very good. The short of it is that Brisbane City really hit their straps in the run-in to halftime, scoring 21 straight points until Tala Gray barged over for the Eagles. Jake Schatz had two of his three tries in City’s 29-10 lead. Schatz posted his third try just after break to push City out to a 34-10 lead before the Eagles posted two more tries themselves to bring the margin back to losing bonus point territory. Worthy: It certainly sounds and reads like Jake Schatz has had a strong game, but I really can’t offer much more than that. Melbourne Rising 20, NSW Country Eagles 15, Brisbane City 12, Canberra Vikings 9, Greater Sydney Rams 9, Perth Spirit 5, North Harbour Rays 4, Queensland Country 1, Sydney Stars 0. Full and official table can be viewed here.